Rendering on GPU often results in a CUDA error now, since I installed 2.79b and more precisely after I started using the new daily (not sure if it's connected). 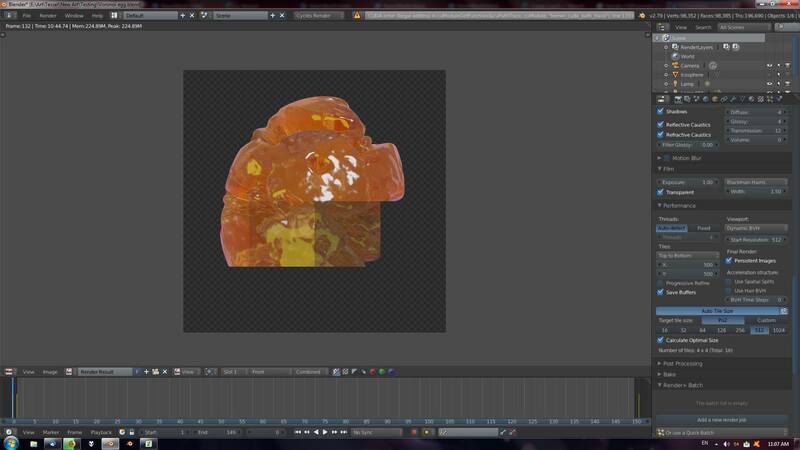 I don't know how to replicate the problem, it kind of just happens sometimes and after that it doesn't really render and it's best to restart Blender. There is an error message up the top in the progress bar I hope you can read it, something to do with CUDA memory and an illegal operation. I've been using the daily now and I haven't seen it yet. I think blender still has to improve quite a bit in multiple GPU support. I've recently had crashes also with another mixed couple, RX56 + RX480, both 8GB, scene went max. to 4.7, so all fine in theory, both cards render flawlessly separately but rendering with both just shuts down the application... My suspicion is that somehow blender/the driver, somehow reserves the occupied ram of a card on the other, even if GPUZ doesnt show it; you can try lowering sample sizes (which also reduces a bit the RAM used), ...it worked in a few cases for me, but performance degraded so much below 256x256 that the vega @320x320 was faster than both cards in combo. Is this still an issue with the latest build from https://builder.blender.org/download/ ?